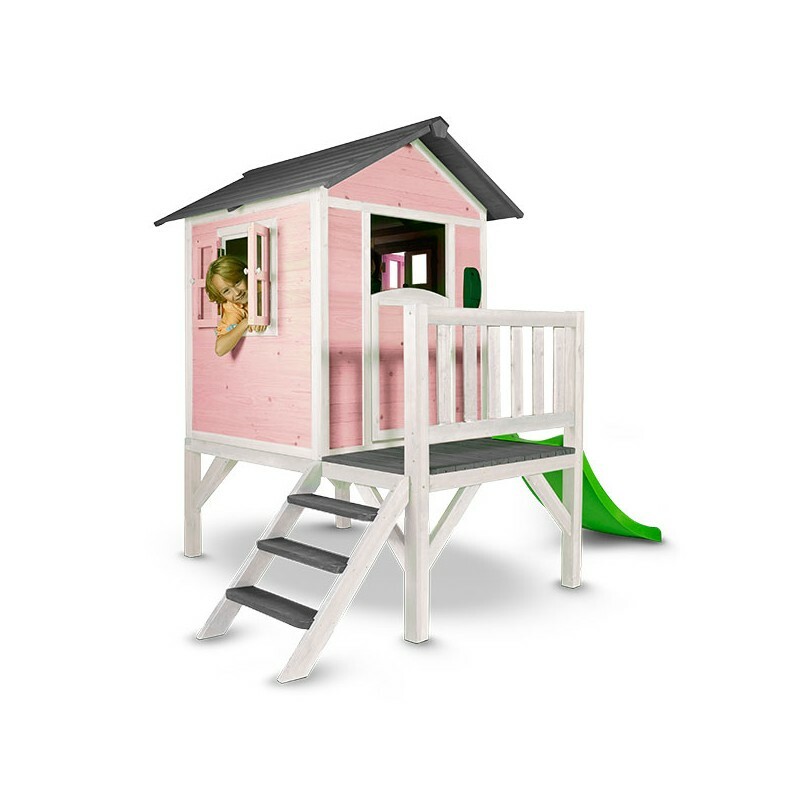 Playhouse Lodge XL (pink/white) - Pragma Brands . 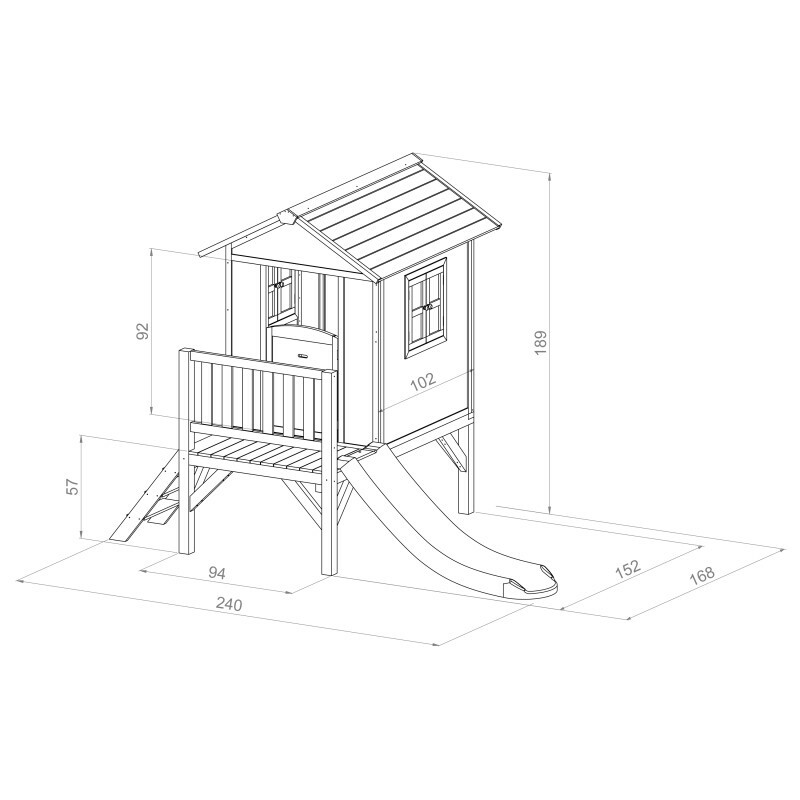 Lodge XL is just as fun and cosy as the Lodge, but with your own slide and veranda! 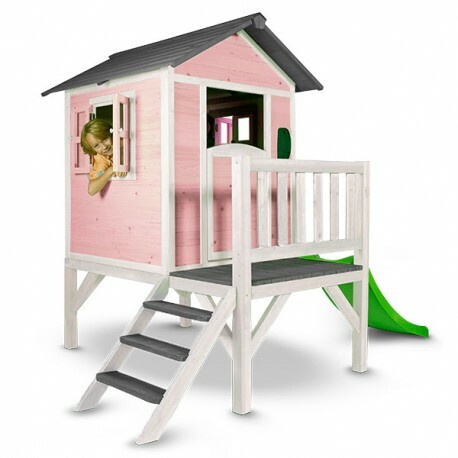 You can climb up the stairs to your own house and if you need a quick exit you’ve got your own slide out! 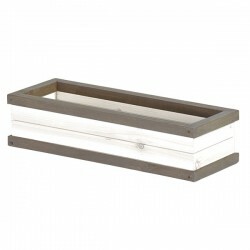 Lodge XL is available in the colours grey/white, blue/white, pink/white, yellow/white and green/white.